Limited time offer for May 2019 in Santorini Greece only 799€! "Rejuvenating and Inspiring holiday! Just home from a fantastic week of yoga, Pilates and the most delicious food. Alex and the team were exceptional hosts and nothing was too much for them to ensure we all had an amazing week!" "I cannot recommend this retreat enough and will definitely be returning! "- Maria G.
"This is my third time in Santorini with my daughter and sixth time with Alex and the Sky team. And we are already booked for next year!." We're Pilates and Yoga enthusiasts constantly traveling the world for a deeper connection to humanity and health. 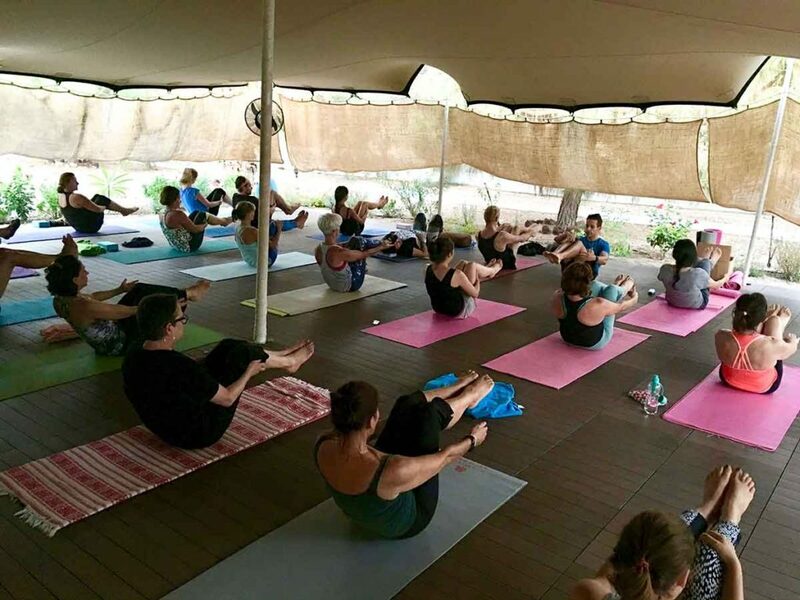 We provide healthy Yoga and Pilates retreats in beautiful destinations around the world to all levels. Some of those destinations are Santorini Greece, Tyrol Austria and the Canary Islands in Gran Canaria Spain. In our search for incredible views, comfortable luxury accommodations and the perfect site to practice Yoga and Pilates, we enjoy spending quality time with our guests and making new friendships. We welcome solo, duo, or group travelers and we pride ourselves in disconnecting from stress and re-connecting to real human interactions and friendships. When you come to one of our retreats your guaranteed to forget all your stresses from home and leave refreshed with a positive new view on life. .
Want to know where our next healthy holiday will be? Sign up for our Sky Newsletter here.